Marilyn Harper, age 75, of Douglas, Georgia passed away on Monday January 28, 2019 at Dorminey Medical Center following an extended illness. 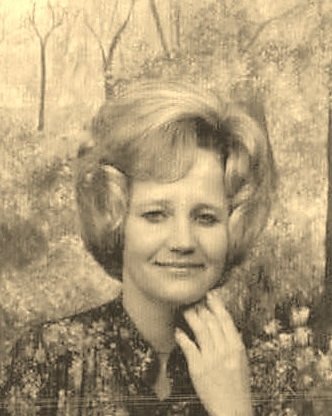 Mrs. Harper was born on November 29, 1943 in Coffee County, Georgia the daughter of the late Jim and Mattie Lou Spires Burke. Survivors include her husband, Clifford Harper of Douglas, GA; four sons, Wendell Stone (Nena) of Ambrose, GA, DeWayne Stone (Lydia) of Douglas, GA, Timmy Stone (Dana) of Broxton, GA and Kevin Harper (Belinda) of Douglas, GA; eleven grandchildren and seven great grandchildren; brother, Donald Burke (Martha) of Waycross, GA; several nieces and nephews. Funeral services will be held on Thursday January 31, 2019 at 11:00am at Bethany Holiness Baptist Church with Rev. Glen Fussell officiating and Nathan Burke giving the eulogy. Interment will follow at Bethany Church Cemetery. She will lay-in-state from 10am until 11am prior to the service at the church. The family will receive friends Wednesday evening from 6pm until 9pm at Sims Funeral Home.